It is understood and agreed that any particulars or details contained in the Insured’s books of account or other business books or document which may be required by the Insurers for the purpose of Investigating or verifying any claims hereunder may produced and certified by Insured’s auditors and their certificate shall be prima facie evidence of the particulars and details to which such certificate relates. In adjusting any loss, account shall be taken and an equitable allowance made if shortage in Turnover due to the Damage is postponed by reason of the Turnover being temporarily maintained from accumulated stocks, either at the Department of Factories of the Group. The insurance under this item is limited to such further additional expenditure beyond that recoverable under clause (b) of the Gross Rental Specification as the insured shall necessarily and reasonably incur during the Indemnity Period in consequence of the Incident for the purpose of avoiding or diminishing the reduction in Turnover. If during the indemnity period goods shall be sold or services be rendered elsewhere than at the premises for the benefit of the business either by the Insured or by others on the Insured’s behalf the money paid or payable in respect of such work or services shall be brought into account in arriving at the turnover during the indemnity period. The Insured under item (3) is limited to the reasonable charges payable by the Insured to their Auditors producing and certifying any particulars or details contained in the Insured’s books of Accountant of Business books or documents such order proofs. Information or evidence as may be required by the company under the terms of conditions of this policy. Any particulars or details contained in the Insured’s books of account or other business books or documents which may be required by the Insurer (s) for the purpose of investigating or verifying any claim hereunder may be produced and certified by the Insured’s auditors and their certified shall be prima facie evidence of the particulars and details to which such certificates relates. It is hereby declared and agreed that loss as Insured by this policy resulting from interruption or interference with the Business directly or indirectly arising from closure or evacuation of the whole or part of the premises by order of a competent public authority due to the operation of the cause insured by this policy shall be deemed to be loss resulting from Damage to property used by the Insured at Premises. Subject to the Conditions of the Policy loss as insured by this Policy resulting from interruption of or interference of or interference with the business in consequence of damage (as within defined) to property on the premises of the Insured’s customer (s) at the undernoted situation shall be deemed to be loss resulting from damage to property used by the Insured at the premises provided that if the percentage shown against the name of the customer at whose premises damage has occurred shall be less than the percentage of the annual turnover derived by the Insured from that customer, the amount otherwise payable under the terms of this memorandum in respect of that customer shall be proportionately reduced. It is hereby declared and agreed that subject to the conditions of this Policy covers loss as Insured by this policy resulting from interruption of or interference with the business in consequence of damage (as within defined) to property in the vicinity of the premises which shall prevent or hinder the use thereof or access thereto, whether the premises or property of the insured therein shall be damaged or not, shall be deemed to be loss resulting from damage to property used by the insured at the premises. If the business be conducted in by individual companies/divisions or departments the independent trading results of which are ascertainable, it is agreed that the provision hereof may at the option of insured apply separately to each such company/division or department affected by the loss, destruction or damage. With regard to agreements between individual companies relating to the lease or rental of property, each individual company insured hereunder shall be deemed to be separately insured. Loss as Insured by this Policy resulting from interruption of or interference with the business in consequence of damage (as within defined) to property at an electricity station or sub-station from which the Insured obtain electric current shall be deemed to be loss resulting from damage to property used by the Insured at the premises provided that the Company shall not be liable for any loss Insured by this extension unless the failure of electric current from such electricity station or sub-station exceed a period 72 hours and the liability of the Company under this extension shall apply only to such period in excess of 72 hours. It is hereby agreed and declared that this Insurance shall, subject to the conditions of this policy and to all provisions and limitations contained therein, extend to include loss as described therein resulting from Interruption of the supply of electric power (or gas) to the premises of the Insured due to damage by Fire or Lightning or Explosion or Impact of aircraft occurring at any electric power station or substation (or gas works) in Indonesia, but excluding any transmission lines. The sum produced by applying the rate of gross profit to the amount by which the Turnover during the Indemnity Period shall, in consequence of the Damage, fall short of the Standard Turnover. The additional expenditure necessarily and reasonably incurred for the sole purpose of avoiding or diminishing the reduction in Turnover which, but for that expenditure, would have taken place during the Indemnity Period in consequence of the Damage, but not exceeding the sum produced by applying the Rate of Gross Profit to the amount of the reduction thereby avoided. Less any sum save during the Indemnity Period in respect of such of the charges and expenses of the Business payable out of Gross Profit as may cease or be reduced in consequence of the damage. In the event of the gross profit earned during any annual period of insurance (or during) the accounting period of twelve months most nearly concurrent with any period of insurance), as certified by the insured thereof an a prorata additional premium not exceeding 10 percent the premium paid on such sum insured from such period of Insurance will be charges in respect of difference. In the event of the Gross Profit earned during any annual period of insurance (or during the accounting period of 12 months more nearly concurrent with any period of insurance) as certified by the insured’s Auditors being greater than the sum insured thereon, the insured will be held covered to the extent of 15% of the sum insured thereof and prorata additional premium not exceeding 15% of the premium pald on such Sum Insured for such period of insurance will be charged in respect of the difference. It shall not be a condition precedent to liability in respect of interruption of or interference in consequent of damage that payment shall have been made or liability admitted under the insurance covering the interest of the insured in the property at the premises against such damage if no such payment shall have been made nor liability admitted solely owing to the operation of a proviso in such insurance excluding liability for losses below a specified amount. It is hereby noted and agreed that the term damage defined under this Policy shall extend to include murders, assaults or suicide committed at the Insured Premises. In consequence thereof, interruption of or interference with the Insured’s business arising from murders, assaults or suicide committed at the Insured premises, shall be deemed to loss resulting from or consequence of an insurable damage under this policy.
) period after the damage. In consideration of the payment of a additional premium which is included in the premium hereon it is hereby agreed and declared that subject to the conditions of the Policy loss as insured by this policy resulting from interruption of or interference with business in consequence of damage (as within defined) to property in the vicinity of the premises which shall prevent or hinder the use thereof or access thereto, whether the premises or property of the Insured therein shall be damaged or not, shall be deemed to be loss resulting from damage to property used by the Insured at the premises. Provided always that all the provisions and conditions of this policy shall apply to the insurance by this extension except in so far as they may be hereby expressly varied. Any particulars or details contained in the Insured’s books of account or other business books or documents which may be required by the Company under Condition 4 of this Policy for the purpose of investigating or verifying any claim hereunder may be professional accountants if at the time they are regularly acting as such for the Insured and their report shall be prima facie evidence of the particulars and details to which such report relates. The Insurer will pay to the Insured the reasonable charges payable by the Insured to their professional accountants for producing such particulars or details or any other proofs, information or reporting that such particulars or details are in accordance with the Insured’s books or documents. Provided that Sum of amount payable under this clause and the amount otherwise payable under the policy shall in no case exceed the Total Sum Insured by the Policy. It is hereby agreed and declared that progress payment on account of any loss recoverable under this policy will be made to the Insured on production of an interim report by the loss adjuster (if appointed) or accountant, provided that such payments are deducted from the finally agreed claim settlement figures. In the event of Gross Profit earned (or proportionately increased multiple thereof where the maximum Indemnity period exceeds twelve months) during the accounting period most nearly concurrent with any period of insurance as certified by the Insured’s Auditors, being less than the sum insured thereon, a prorata return of premium not exceeding 50 percent of the premium paid on such sum insured for such period of insurance will be made in respect of the difference. If any damage shall have occurred giving rise to a claim under this Policy, such return shall be made in respect only of so much of the said difference as is not due to such damage. Any application for return of premium shall be made by the Insured within 6 (six) months from the date of expiry of the policy. 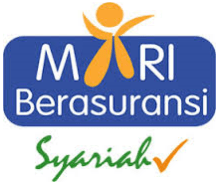 In the event of Gross Profit earned during the financial year most nearly concurrent with any period of insurance as certified by the Insured thereon a prorata return of premium not exceeding thirty percent (30%) of the premium paid on such sum insured for such period of insurance will be made in respect of the different. If any damage shall have occurred, giving rise to a claim under this policy, such return shall be made in respect only so such of the said difference as is not due to such damage. In respect of reduction in turnover the sum produced by applying the rate of gross profit to the amount by which the turnover during the indemnity period (less the turnover for the period of the salvage sale) shall in consequence of the damage fall short of the standard turnover, from which sum shall be deducted the gross profit actually earning during the period of the salvage sale. If any standing charges of the business be not insured by this policy (having been deducted in arriving at the Gross Profit as defined herein ) then in computing the amount recoverable hereunder as increase in cost of working, that proportion only of any additional expenditure shall be brought into account which the Gross Profit bears to the Sum of the Gross Profit and the uninsured standing charges. This Insurance under this section extends to include the actual loss of Business Income sustained resulting from the necessary interruption of or Interference with the Insured’s Business operations as a result of any unforeseen, sudden and accidential physical loss, destruction or damage to the premises of the following named Insured’s third party suppliers and/or customs arising out of a peril which would have been Insured under this Policy. Subject to a Sum Insured of …………………….. in respect of each and every occurrence, which is additional to the Sum Insured stated in the Schedule. Subject to a Sum Insured of ……………………………….. in respect of each and every occurrence, which is additional to the Sum Insured state in the Schedule. “If during the indemnity period goods shall be manufactured and for processed elsewhere than at the premises affected by the damage for the benefit of the business either by the insured or by others on the insured’s behalf the sale value of the goods so manufactured shall be brought into account in arriving at the output during the indemnity period”. The Insurance extends to cover any increase in Gross Profit for an amount not exceeding 25% of the Sum Insured thereon provided that the Insured undertake to advise the Insurers at the end of the policy period of such increase and to pay the additional premium thereon. 1. Accumulated Stock Clause, 2. return of premium Clause, Automatic Reinstatement.